Liverpool fell to an embarrassing defeat on Wednesday evening at Loftus Road. Queens Park Rangers came from 2-0 down to beat Liverpool with three goals in less than 15 minutes. It was a shock to watch Liverpool crumble so quickly and easily after what started off as a good performance. Dalglish decided it was time to reintroduce Charlie Adam to the starting XI for this one and he also dropped Carroll to the bench. Queens Park Rangers had a front line including ex Liverpool man Djibril Cisse. The game got underway and was very much in Liverpool's favour. A first half consisting of mainly Liverpool possession left Queen Park Rangers struggling for ideas. Liverpool fell to a 1-0 defeat at the Stadium Of Light on Saturday when a fortuitous goal separated the two sides. The third in a string of defeats breaks a record for the Reds who haven't lost three in a row in the league since 2003. It was a dire game for the neutral to watch and unfortunately contained a very poor performance from a lacklustre Liverpool side who are hitting a bit of bad form in the league at the moment. Some changes to the side were made by Dalglish who introduced Coates and Bellamy. Suarez was once again the lone man up front and captain Steven Gerrard was able only to start from the bench. The first half was uneventful to say the least, neither side caused major problems in the box and there was no real flow to the game. The Liverpool midfield appeared to be unsettled and with Charlie Adam having one of his poorer games, we were struggling to create any real passing from the centre of midfield and out to the wings or cut through to the likes of Suarez. Liverpool fell to defeat at the hands of Arsenal on Saturday as the van Persie show turned up at Anfield. The Reds were arguably the better of the two sides but whilst Wenger's boys converted their chances, Liverpool didn't. Even a penalty couldn't aid Liverpool's score sheet and it fell to an Arsenal player to get the Reds their sole goal. 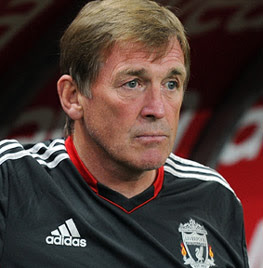 Dalglish made some changes to the side which was expected after the injuries to Gerrard and Agger. Spearing was drafted in to midfield and Carragher was in the back four. Suarez was fielded up front and Martin Kelly replaced Glen Johnson. Arsenal despite their doubts over the fitness of van Persie, Vermaelen and Rosicky ended up starting all three players. Liverpool put three past a lacklustre Wolves side yesterday at a freezing cold Molineux. Andy Carroll got himself on the score sheet whilst Wolves struggled to find a goalscorer at all. The win moved Liverpool into 5th in the table. Wolves had less worries than originally thought injury wise as Frimpong ended up being able to start in midfield for McCarthy's side. As for Liverpool there was one very big name missing - Steven Gerrard. I got given the team sheet in the boardroom and must admit was happy with the line up. I was chuffed to see Bellamy starting and perhaps it's quite bad to say, but i wasn't really bothered that Downing only made the bench. He just hasn't been impressing me of late. Kuyt and Carroll up front was also a positive for me, i felt that partnership worked well against United. It was end to end stuff last night in Brighton as Gus Poyet's boys looked to cause an upset for Liverpool. An inspired performance from Brighton was threatening to take the game from the Reds on several occasions but in the end the home side had to settle for a consolation goal from the penalty spot. Craig Bellamy opened the scoring for Liverpool with Kuyt getting the second. Captain Steven Gerrard made his first appearance for 6 months and all things considered it was a good win for the lads. The first goal of the night came just 6 minutes in after a lively Liverpool start. Dalglish had fielded a strong line up, backing his seriousness to take on this competition, but Andy Carroll was one big names on the bench. Instead Welshman Craig Bellamy got a start, still awaiting his first goal this was the perfect sort of game for Bellamy to get off the mark, and that he did. An assist from Suarez allowed Bellamy to send the ball home from inside the box and put Liverpool ahead. Liverpool make the long journey down South tomorrow to face Harry Redknapp's Tottenham Hotspur. The London side got off the mark properly in their last league game against Wolves whilst Liverpool hit a stumbling block at Stoke. Liverpool are without Glen Johnson for this one as his niggling hamstring injury appears to be back. Steven Gerrard was expected by some to feature tomorrow but it is perhaps more likely that Dalglish will ease him in, starting with the cup game against Brighton, i wouldn't be too surprised to see him on the bench though. As for Tottenham, Ledley King who came back and was vital in the Wolves win is a possible doubt. So too are Gallas, Van Der Vaart and Lennon. Michael Dawson is also out but with a squad as big as Spurs, Harry shouldn't have too many problems choosing replacements for the missing faces. In a weekend of Eurovision madness can Liverpool tomorrow ensure Harry Redknapp's Spurs gain nul points after 90minutes of football? Three points for Liverpool would not only add to their fantastic form of late but it would also secure mathematically 5th place. For Spurs it appears their plans and claims of breaking into, even winning the league by manager Harry Redknapp have been completely forgotten about. A decent run in the Champions League - fair play but have they had the consistency to back up their claims that they are in fact a top four side? No. Liverpool claiming victory tomorrow will not only show our determination, even when faced with the somewhat hindrance of the Europa League but it will also prove to the media and maybe some deluded Spurs fans that just like us, they still have a lot to do. There can't have been many people predicting an exciting clash last night at Craven Cottage and if anyone had a punt on 5-2 then I'll eat my hat! 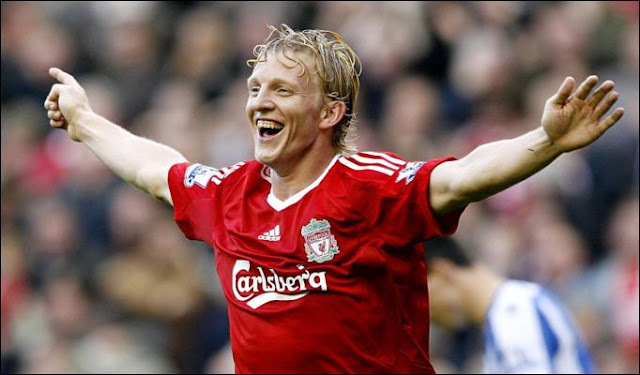 In a game which saw Maxi score his second hat trick in three games, Kuyt score his fifth goal in as many games and Suarez sprinkle magic from the defence all the way into the Fulham net, the travelling fans were rewarded with an emphatic display! An unchanged eleven from Dalglish sprung immediately into action with Suarez on a run into the box, his pass aimed at the approaching Kuyt and Meireles took a deflection and Schwarzer managed only to get a foot to it to make a clearance. After splaying out the ball came to an awaiting Maxi Rodriguez who struck to put the Reds 1-0 up in what i had down as 32 seconds - phenomenal. The 3-0 victory over Newcastle United at Anfield was completed in sleek, calm and effortless style. The unity Dalglish has brought to the club is highly visible on the pitch and with three separate goalscorers, it's no wonder people are starting to look at Liverpool in a different light. Carroll started from the bench after all the "will he, won't he?" before kick off and so it was down to the rest of the lads to upset the Magpies. Johnson was called back into defence and Argentinian Maxi Rodriguez was once again chosen to start after a superb display against Birmingham. It took the Reds just ten minutes to start the scoring and it was none other than Maxi himself. A great cross into the box from Flanagan caused problems immediately for Newcastle's defence, a failed clearance saw the ball splay out to an awaiting Maxi who in great style took it first time and sent the volley into the back of the net.